On the edge of Hallstätter See (lake) below the towering Dachstein mountains, Austria’s oldest and possibly most photographed village attracts more tourists than it can perhaps handle. 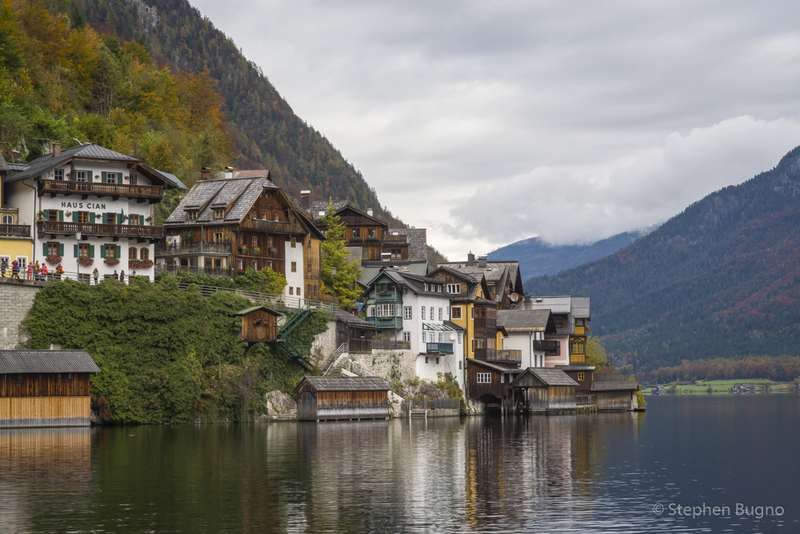 The scenic village of Hallstatt, Austria is known for its production of salt, dating back to prehistoric times, and gave its name to the ancient Hallstatt culture, dating back to the Early Iron Age of Europe, c.800–450 BC. The salt deposits have been exploited as early as the 2nd millennium BC contributed to the area’s prosperity up to the middle of the 20th century. This prosperity is reflected in the fine architecture of the town. Hallstatt is an extraordinarily picturesque town, but I was shocked by how touristy the place was. I wasn’t enjoying my time there because there were bus loads of tourists walking through town (and I know that’s my problem). Lots of Chinese, some Koreans. A few independent travelers arriving by train/boat combo. There was a little relief as I walked up above the main part of town which required a few steps. The views are good as you get out of the center. Steep mountains surround the lake and really it is incredibly beautiful. In the end, I just accepted the fact that there were lots of tourists, and in fact, I was part of the problem. But this just proved to me that I don’t really like these types of places. Also, I suspect 95% of visitors are day trippers. So spending the night would be preferable to seeing the village in a different light. Hallstatt, Austria is situated in the geographical region of Salzkammergut, on the national road linking Salzburg and Graz. 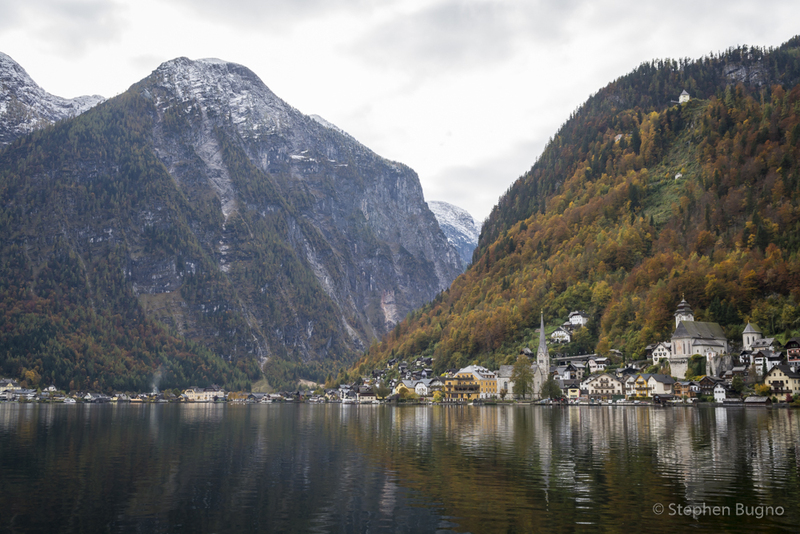 However, the most scenic way to arrive in Hallstatt is via the train and boat. Hallstatt’s rail station is located on the opposite side of the lake and a small ferry boat meets the train to take people across to the village. It costs 2.50 Euro. Did you know? A Chinese mining company built a full-scale replica of the entire town of Hallstatt in Huizhou, Guangdong province. 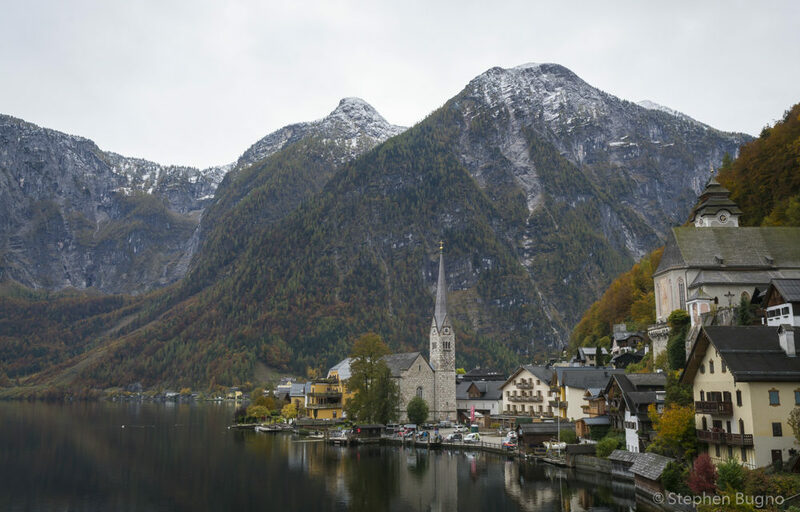 Hallstatt is part of the Hallstatt-Dachstein / Salzkammergut Cultural Landscape UNESCO Heritage site. 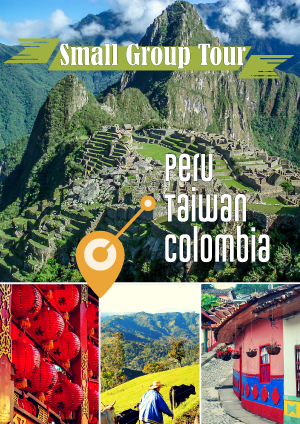 The region grew with salt mining, which began as early as 2,000 BCE and has continued through the modern era. The region is also known for its towering mountain and caves, the longest of the latter reaching a length of 81 km (50 mi). 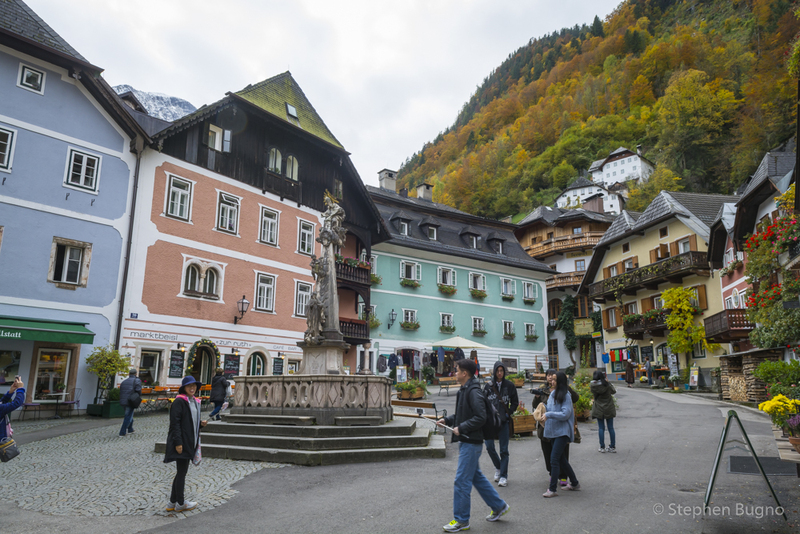 Bus loads of tourists crush the Scenic Village of Hallstatt, Astria every year. 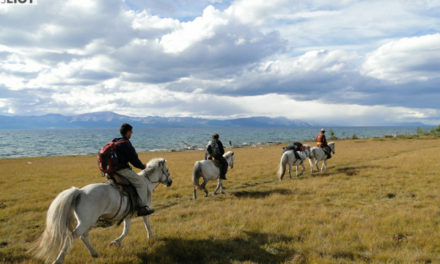 Ask GomadNomad: Best Places for Riding Horses in Asia?